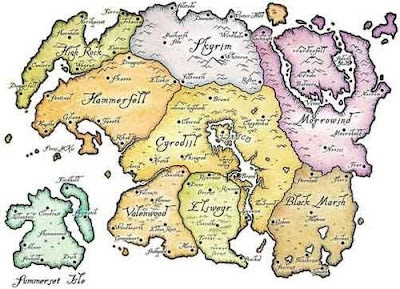 "A novel that takes place forty-five years after the Oblivion Crisis, which is the story of The Elder Scrolls IV: Oblivion game and the expansion pack Shivering Isles. It partly bridges the gap for the next game, which is set 200 years after the Oblivion crisis." They got to it, but not soon enough that it wasn't noticed and AJ Glasser of kotaku.com is to thank for quick reporting.